Approximately Thirty Miscellaneous Dolls, including 14-in. 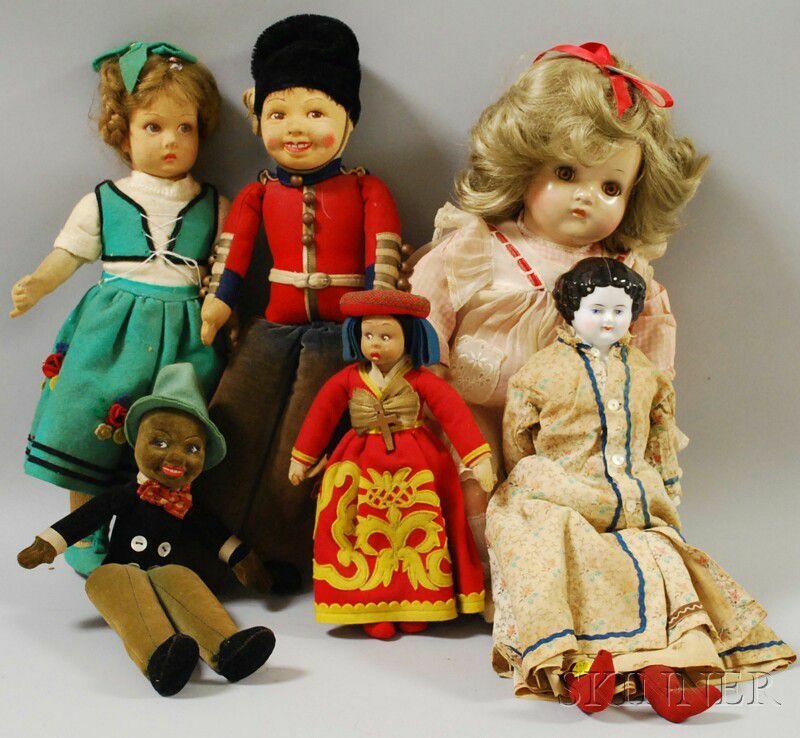 black-haired china lady, two Lenci dolls, two Norah Wellings, 16-in. Madame Alexander composition Baby McGuffey, the remainder assorted internationally costumed dolls of various materials. 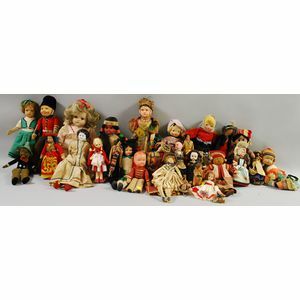 Soil to Lenci dolls and McGuffey doll, scattered damages to internationally dressed dolls.